Does technology improve healthcare: What do NHS frontline staff think? There was much discussion around applying technology to the processes and communication involved in healthcare. It was interesting to speak to those at the frontline about whether, on balance, it was a positive thing. Interestingly, the answer was that when technology works well it not only saves time, it frees it up for hands-on care – which what most people thought makes the biggest difference for patients. Regarding radiology, a participant told us: “By the time I’ve walked my patient back to the ward their image is available on my screen.” This kind of speed is crucial in treating patients effectively. 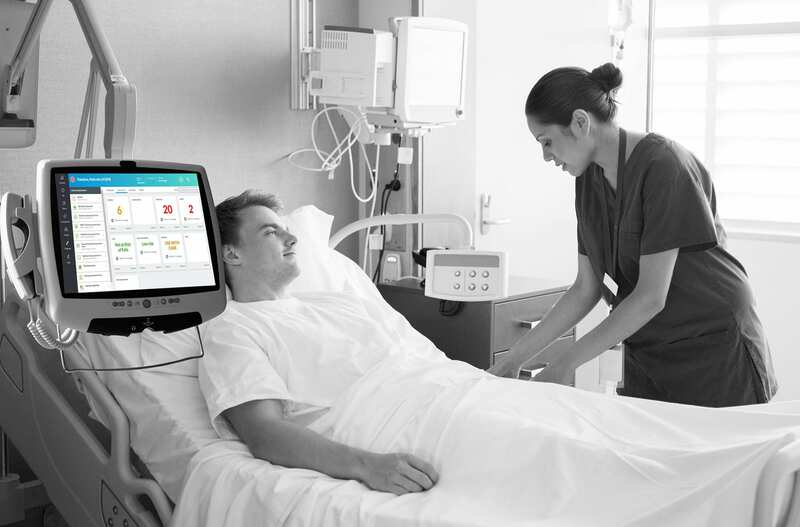 What’s more, other systems, like patient flow provide an immediate and responsive whole-ward view to replace labour intensive and time-consuming practices. The roundtable was in agreement: what they most valued was the time freed by technology for care and patient contact which improves outcomes overall. 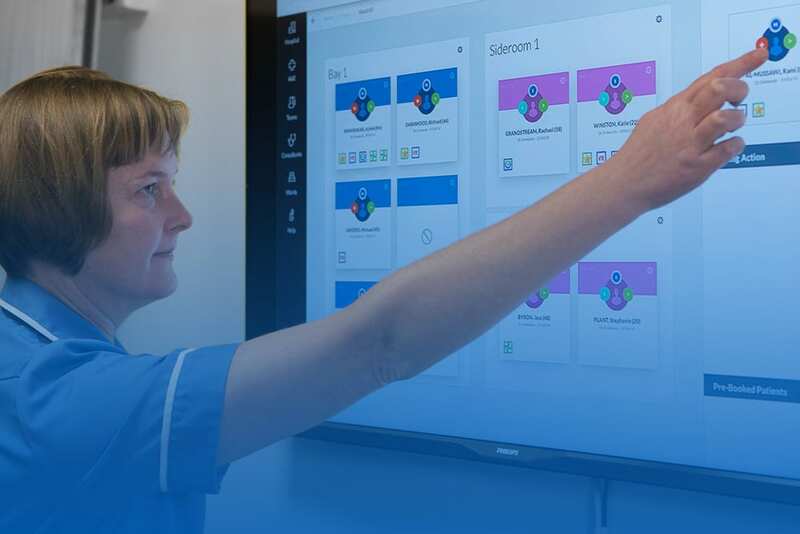 One participant recalled a busy discharge nurse talking about the digital patient flow system – “That system is my bible”. They highlighted the impact of technology of medication errors alone, and the reduction in pain and damage that it delivers. Technology can help to reduce human error and more accurate information supports better decision-making. Entries or changes can be monitored and flagged up immediately if they are outside accepted standards or ranges. 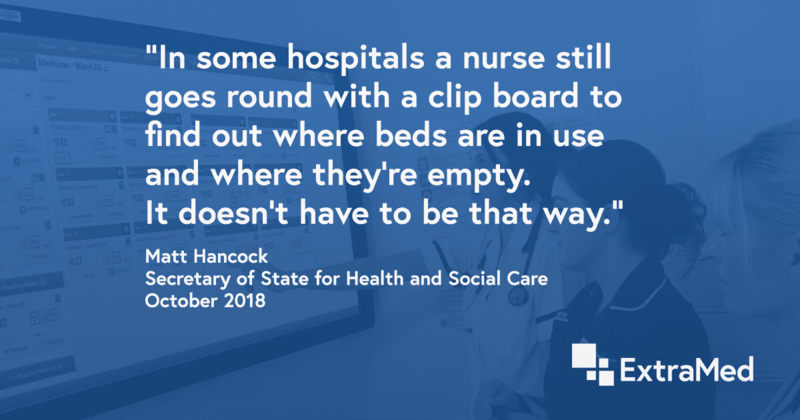 Furthermore, digitally recording NEWS scores, for example, can catch deteriorating patients so they can be assessed more regularly by front-line staff or, if needed, escalated to a clinician. Technology allows patients to have access to content that will better help them understand and be more involved in their care. 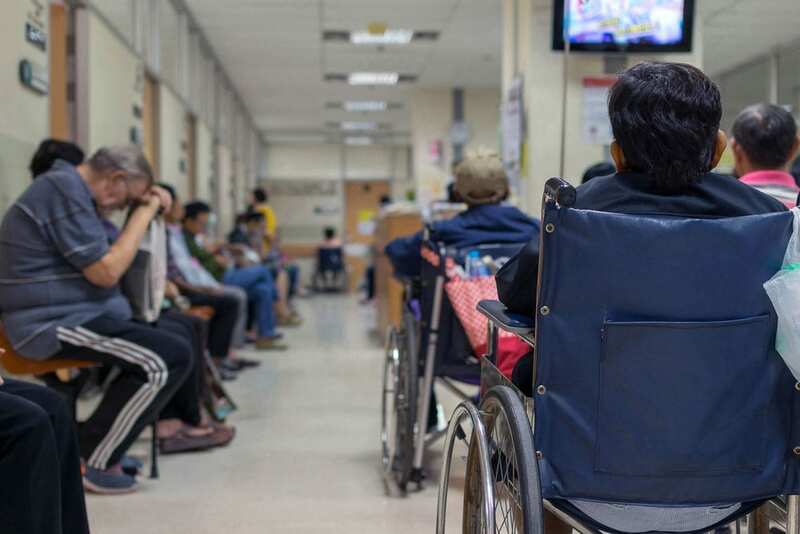 If they are given access to simple systems that put them more in control of what happens to them in hospital they feel more empowered and engaged, which has been proven to support their recovery. The group’s consensus was that for digital technology to be most effective it needs to be used by “the right people, at the right time, at the right location, with the right training.” It seems that this is a tricky balance to find. It’s important to consider that some people are not experienced with technology, or can’t type quickly, and those whose first language isn’t English might struggle to write confidently. There is also the question of integration and roll-out. There is a degree of fatigue and cynicism about technology projects. Taking an integrated, intuitive and evolutionary approach that respects the experience of those at the frontline, rather than disruptive and ‘big bang’ implementations is key. Overall, our participants were positive that technology can and does improve care – but it needs to be developed thoughtfully for those who are to use it. Want to know more? 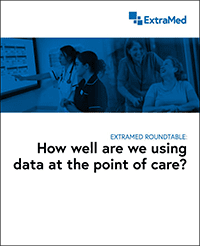 Download the complete Roundtable Report of data and digital in healthcare here. 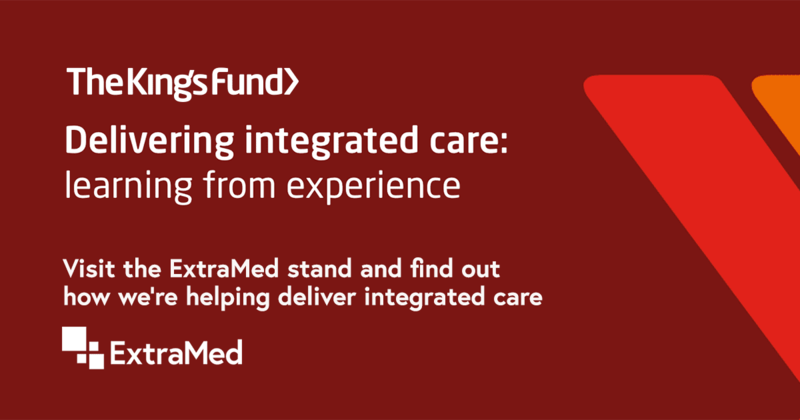 See you at The King’s Fund’s Delivering Integrated Care event? Another NHS winter crisis: What are the answers?